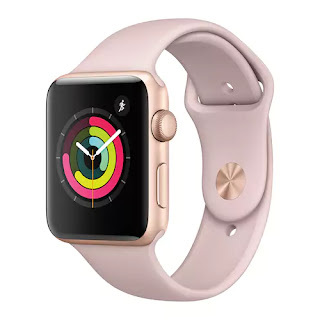 Hurry over to Kohl's.com where you can score this Apple Watch 3 Gold Aluminum Case w/ Pink Sand Sport Band, 38mm for just $329 shipped! And, although you are not able to use any discount codes on this item, you can earn Kohl's Cash; and through November 25th, earn a whopping $15 in Kohl's Cash for every $50 you spend. You can then redeem your Kohl's Cash November 26th through December 6th. WOW! HURRY over for this deal! Pay $329 shipped + earn $90 Kohl's Cash!